The much hyped MV Agusta F4Z broke cover today – much to our surprise, ahead of its scheduled September 4th debut. 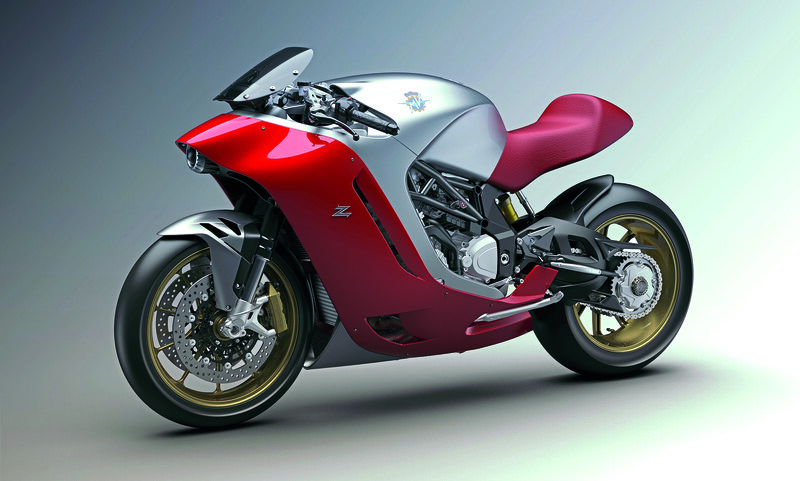 The bike is a collaboration between MV Agusta and Milan-based design house Zagato, using the four-cylinder MV Agusta F4 superbike as its platform. Thanks to the not one, but two teaser videos from MV Agusta, we had a good idea what the F4Z would look like, but now there is little room for speculation with what appears to be CG renders images of the machine..
We expect that this design will certainly be polarizing, especially considering the iconic form that the F4 embodied. As such, leave your thoughts in the comments section.